Warehouse Management, plays a crucial role in supply chain by orchestrating the flow of material & information in order fulfilment. Warehouses have evolved from simple receiving, storage, and shipping facilities to full-scale, high-volume, flow-through distribution operations. Physicals to digital intersection has shifted the traditional warehouse operating paradigm in sophisticated automation. Companies are seeking ways to maximize throughput, while enhancing order fulfilment accuracy& speedby using automated materials handling WCS. In all major industries (like Automotive, Chemicals, Hi-tech, CPMG, Retail, Life Science, Service Part Management, 3PL, and food processing, etc.) warehouses automation has become the norm. Hence companies looking next-generation warehousehaving ability to natively interface with WCS technologies like GTP (Goods-to-Person) or PTG (Person-to-Goods) and significantly change the way goods are received, stored and shipped to transform the Supply Chain. Material flow system (Goods to Person & Person to Goods), machine learning / artificial learning, big data analytics, Internet of things (IoT), Drone, RFID, GPRS /GPS, SaaS (Cloud solutions) and Mobile technologies, have brought a revolution in logistics execution. This has enabled data flow volume management, variety & velocity,while ensuring improved accuracy, visibility & trace ability across the supply. All industries are trying to equip their logistics solutions, with the state-of-the-art technologies,while balancing “Optimum utilisations of current IT Infrastructure v/s exploiting the benefits new technologies”. Irrespective of size (small, medium or complex, 3PL & 4PL), warehouses are operating with variety of WCS or WebSphere Commerce . It has resulted in sophistication& optimisation in managing warehouse ground level task execution, space optimisation, speed and accuracy in material placement& retrieval. It is agile and able to complete warehouse tasks through communication with automation equipment. WCS communicates with WMS solution via PLC (programmable logic controller). WMS focuses on the high level maintaining inventory, and orders while WCS focusing on efficient completion of floor level tasks executions, with speed & accuracy; irrespective volume. RFID Scanners /readers has brought the revolution in warehouse operation by touchless scanning of RFID tags, validate the data with ERP system and book voluminous the business transactions with speed & accuracy. RFID scanners with drone technology has established a land mark in tracking & Tracking the equipment’s, containers, in yard management. It will no wonders to say, drones will complete the physical inventory in warehouse when no one was there. RFID will also play an important role in controlling the yard check-in traffic by automation of gate barriers. SAP EWM has been positioned as the next-generation warehouse management solution, capable to easily integrate with the state-of-art-warehouse physicals to accomplish process flexibility, performance and functionalities coverage. Its functionality coverage makes it suitable for all industry verticals, DCs, 3PL, 4PL, manufacturing warehouse irrespective warehouse size (Small, medium & Complex). 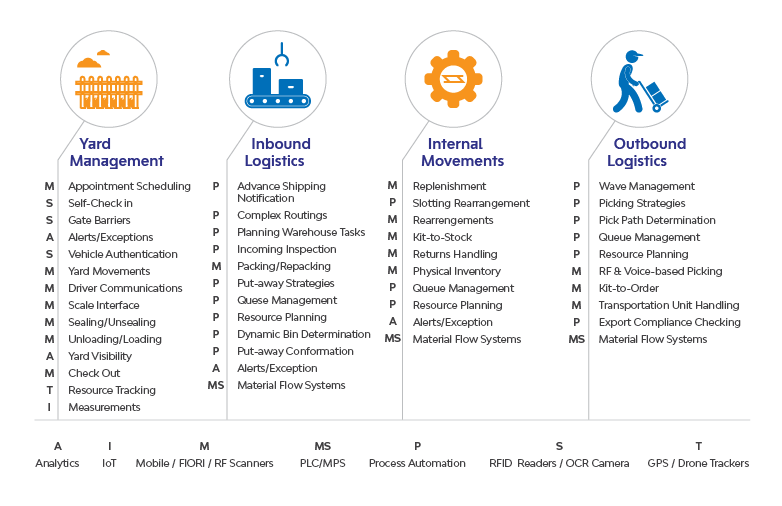 It offers most of the best-in-class warehouse functionalities, ensuring deep process integration, powerful decision support (analytics), and native integration with physicals operating with Goods-to-Person or Person-to Goods principles, its flexibility and scalability to respond business needs. KM Jadhav, a SAP Lead Consultant, leads SAP Supply Chain Practice, at LTI. 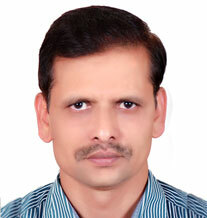 He has 12 years of domain experience in manufacturing industry, followed by 14 years of SAP consulting experience. He has designed & deployed value-driven business solutions to leading global players in Procurement, Master Data Management & Warehouse Management for Aerospace, Hi-tech, ENC, Defense, Railway, Manufacturing, CPG, Automobiles & Packing industries.